In June 1868 twenty-three-year-old Moorfield Storey, whose multifaceted career would eventually include becoming the first president of the NAACP, exclaimed in a letter to a friend, “I have just finished a most delightfully trashy story in the Galaxy by my friend or acquaintance, Henry James. Just the sort of dish-water which suits one in June.” The tale in question “is extraordinarily uncharacteristic of its author as he came to be known,” adds Storey’s biographer in a footnote. Readers may well be surprised that this “trashy” story, which is this week’s selection, is from the same hand that gave us Daisy Miller, Washington Square, The Wings of the Dove, The Portrait of a Lady, and The Turn of the Screw. While writing and publishing his early stories (many of which he never republished), James was the first to acknowledge that they were apprentice work, created to satisfy popular taste. The year “A Problem” was published, he wrote, “I write little and only tales, which I think it likely I shall continue to manufacture in a hackish manner, for that which is bread. 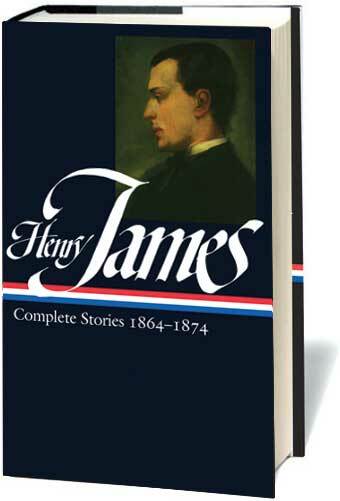 They cannot of necessity be very good; but they shall not be very bad.” Still, even when the young James was slumming it, his tales have an atypically breezy appeal and are of interest to anyone intrigued by the development of one of America’s greatest authors. Note: In Catherine Maria Sedgwick's novel Hope Leslie (1827), Magawisca (p. 309) is the daughter of a Pequod chief. September was drawing to an end, and with it the honeymoon of two young persons in whom I shall be glad to interest the reader. They had stretched it out in sovereign contempt of the balance of the calendar. That September hath thirty days is a truth known to the simplest child; but our young lovers had given it at least forty. . . . If you don't see the full story below, click here (PDF) or click here (Google Docs) to read it—free!